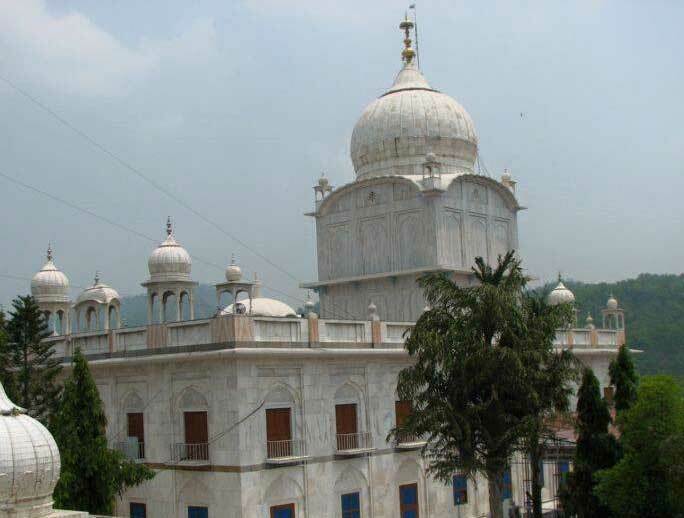 Paonta Sahib, a city sacred to the memory of Gobhind Singh, the tenth Guru of the Sikhs, is also a bustling township with growing industries. It retains tangibly.memorials to the martial Guru in the form of his weapons and a majestic gurudwara and recalls his prescece even in the name of the city which is derived from “paon” meaning “foot” either because he set foot in this place or , according to an alternative story, because he lost an ornament which he woreonhis foot called a “paonta” while bathing in the river Yamuna which flows here.Overlooking the river is the gurudwara where Guru Gobind Singh held court and wrote the major portion of the Dassam Granth. 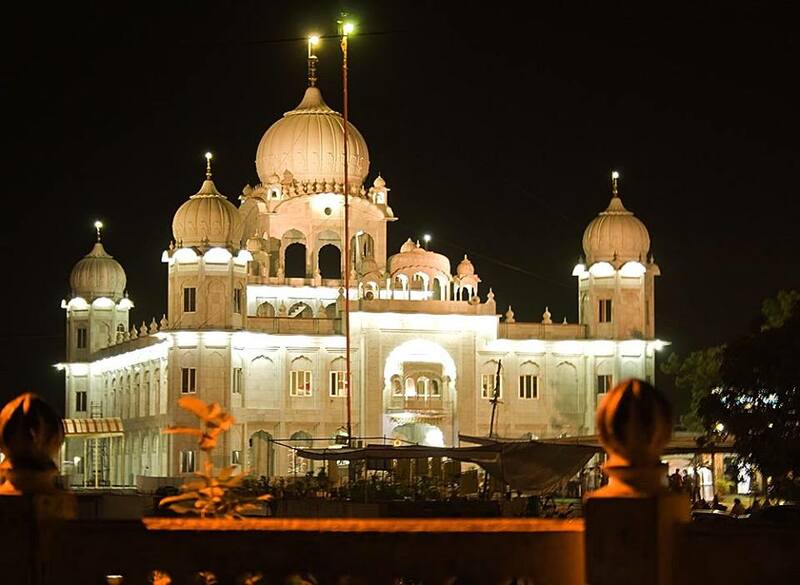 Paonta sahib is distinguished by its association with the Sikhs and attracts them by the thousands at the sprig festivals of Baisakhi andHoly. There are also two Hindu temples,one dedicated to Rama called Dei Ka Mandir and built by a princess, and the other sacred to Kishna. In winter, the temperature can hover around freezing point when heavy woolens are required. Summer temperatures are high and cottons are recommended. Paonta Sahib is connected by road. From Renukaji it is 81 km via Nahan and 60 km via Rajban. From Dehradun it is 44 km. The closest rail heads are at Ambala (95 km), Dehradun (126 km) and Chandigarh (95 km). The nearest airports are at Chandigarh and Dehradun. Taxis/buses are available for Paont Sahib at all places. This site was Guru Gobind Singh’s home for over four years and it was here that he wrote the ‘Dasam Granth’ . Within its precincts are the Sri Talab Asthan where he disbursed salaries ahd the Sri Dastar Asthan where he judged the turban-tying competitions. At the Kavi Darbar Asthan, poetic symposia were held. There is also a memorial to Kalpi Rishi and a museum that displays pens of the Guru and weapons of the time. This ancient shrine is immediately below the Gurudwara and is dedicated to the Godess Yamuna. This commemorates Guru Gobind Singh’s first battle when e defeated Raja Fateh Shah and is allies. This built on the hillock from where Guru Gobind singh Shot arrows at the enemy. Built in a hollow near the village of Puruwalla, this temple is closely allied with the legend of Sirmour’s erstwhile ruling house. 60 kilometre from Paonta Sahib, this was the site of the largest fossil find in the Shivalik hills. The park has a museum and life-size models of the animals that once roamed these tracts. 5 kilometre from Paonta Sahib, surrounded by fields and sal trees, the linga in this temple is supposed to be steadily increasing in size. 30 kilometre from Paonta Sahib, also known as Uttam Wala Bara Ban, this is on the Paonta Sahib-Nahan road. The shrine is reveres by local people. At this spot, the forces of sirmour defeated the marauding armies of Ghulam Qadir Khan Rohiolla. Legend has it that the Devi’s ‘pindi’ appeared in the bag of solt brought by a local trader. The Raja Deep Parkash of Sirmour in 1573. Close by is a recently built Shiva temple. Within Paonta Sahib and also known as the ‘Mandir Shri Dei Ji Sahiba’, this is located near the Yamuna bridge. With exquisite marble work, this was built in 1889 in memory of Raja Partap Chand of Kangra by his wife who originally belonged to Sirmour. The Kirpal Dass Gurudwara is just past the temple. 12 kilometre off the main Paonta Sahib – Naha n road, this is known for a variety of bird life. 8 kilometre from Paonta Sahib, located in a sal forest and with an excellent view of the area, the shrine is revered by childless women. 4 kilometre from Paonta Sahib. This beautiful lake has all facilities like speed boats, rowing, paddle and sailimg boats. In addition, one can enjoy water skiing and hovercraft rides. A fast food restaurant is also available. This entry was posted in Paonta Sahib and tagged Paonta Sahib himachal pradesh, Paonta Sahib temples, Paonta Sahib travel. Bookmark the permalink.